Scientists have long known that the condition’s cardinal feature—an unusually thick heart muscle that contracts and relaxes abnormally—is fueled by some glitch in the heart’s molecular machinery. Yet, the spark-plug that ignites such disordered muscle movement has thus far remained unknown. Now a new study led by researchers at Harvard Medical School and Brigham and Women’s Hospital has pinpointed a faulty molecular brake present in the most common form of the disease and has identified a candidate compound that restores heart muscle function in human and mouse cells. If replicated in further studies, the team’s findings can lead to the development of much-needed precision-targeted therapies that correct the underlying muscle-protein dysfunction in HCM—a vast improvement over current treatments that tackle the disease symptomatically but fail to address its root cause. Such approaches include medications to relieve symptoms, surgery to shave the enlarged heart muscle or implanting tiny cardioverter defibrillators that shock the heart back into rhythm if its electrical activity ceases or goes haywire. “Our results reveal the presence of a unifying molecular mechanism—the presence of an overactive motor that propels heart muscle dysfunction in HCM,” said study first author Christopher Toepfer, a postdoctoral researcher in genetics at the Blavatnik Institute at Harvard Medical School. “Additionally, our findings offer a tantalizing avenue toward a pharmacological treatment that can correct the defect and normalize heart muscle function,” Toepfer said. In the present study, the researchers identified an aberration in the brake machinery of the motors that propel heart muscle movement. The glitch arises from a mutation in a gene that makes a protein called myosin-binding protein C3 (MyBPC3), the study showed. Normally, MyBP-C acts as a shackle on another protein called myosin—the motor that propels the cells of the heart muscle to contract and relax, beat after beat. But a series of experiments in human and mouse heart cells revealed that the mutated gene lacks this molecular brake. Its absence, the work showed, put the cells of the heart muscle into overdrive, causing them to contract too much and relax poorly. To measure the effect of this abnormality, the scientists focused on a muscle component known as the sarcomere—the muscle cell’s basic contractile unit that regulates muscle contraction and relaxation. When scientists compared sarcomeres in the beating heart cells of mice with and without the missing molecular brake, they noticed dramatically shorter—and therefor more potently contracting and poorly relaxing—sarcomeres in cells carrying the genetic mutation seen in HCM. Indeed, these sarcomeres showed 100 percent increase in contraction compared with normal cells. To determine how the absence of the molecular brake affects the cardiac cells’ ability to relax, the researchers compared the duration of relaxation between heart beats in mice with and without the mutation. Mouse cells that lacked the molecular brake had abnormally prolonged relaxation between beats, a sign of disordered muscle relaxation, a feature present in people with the disease. “What we saw in our experiments mirrored the features of the disease—increased contractility of the heart and poor relaxation,” Toepfer said. 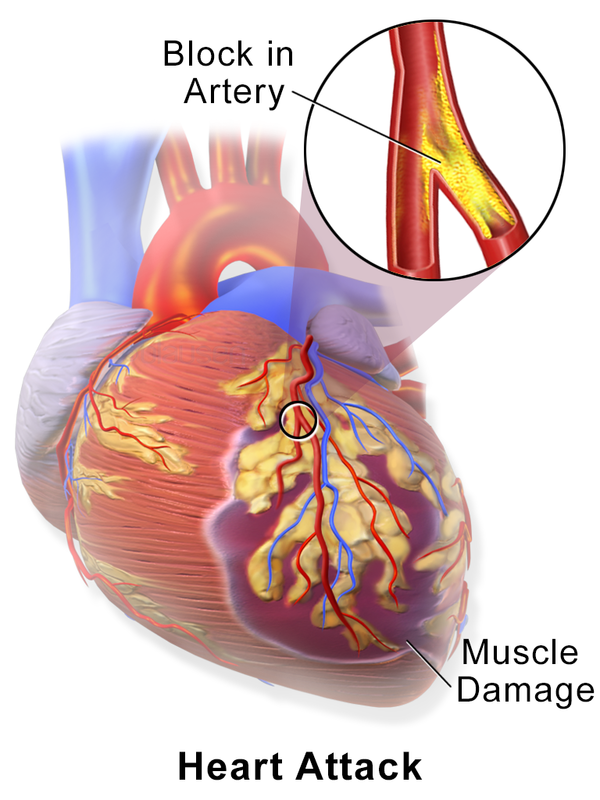 Muscle cells have a fleet of molecular motors—myosin proteins—that propel the cardiac muscle into motion. To initiate contraction, the heads of these myosin motors latch onto another protein called actin and pull it, then release it—the essence of contraction that fuels the blood-pumping, life-sustaining movements of the heart muscle. This cycle of coupling and detachment repeats itself over and over again, heartbeat after heartbeat. How could these primed molecular motors be halted, the researchers wondered. To achieve that, they turned to ATP, the universal fuel that propels all cellular activities, including myosin movement and muscle contraction. The team used a chemical known to block the action of myosin ATPase—the enzyme that releases cellular fuel and propels motor movement. Use of the compound—currently tested in human trials— successfully restored normal contractility of cardiac cells. The compound is being developed by a biotech company, two of whose co-founders are authors on the study. When applied to human and mouse heart cells, the ATPase-blocking compound slowed the motors’ fuel consumption by switching them off. Treated mouse cells carrying the mutation showed dramatic reduction in overactive myosin heads compared with untreated cells. The treatment normalized myosin function and reduced muscle hypercontractility in those cells.